Vogan, Theresa Laurette passed away on Saturday, September 1, 2018 at the age of 89. Leaves to mourn her four sisters Jeanne Lavigne, Elise Gaucher, Claire Genereux and Marie Thomson; two step sons Dennis and Jeff; and numerous nieces and nephews. 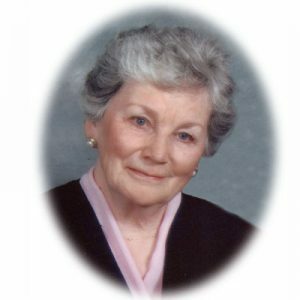 Predeceased by her husband James on June 13, 2018. A Funeral Service will be held on Wednesday, September 5th, 2018 at 11:00 am at Immaculate Conception Church. In lieu of flowers, donations may be made to Heart and Stroke Foundation. The service for VOGAN, Theresa is scheduled for Wednesday, September 5th, 2018 at 11:00 am . Below you will find the map for the service location and the contact information should you have any questions. Thank you Theresa for being the best “bonus” mother-in-law and Gramma to our 3 girls. We have fond memories of our times with you in Ottawa, St Catherines and beautiful BC. You will be missed, until we meet again. God Bless. Nos sympathies. Nos pensées seront avec vous lors des funérailles.